Mumbai: Bharti Telecom, the largest promoter group of Bharti Airtel, has purchased shares of the private telecom operator worth ₹ 20.50 crore through open market transactions. Prior to the share purchase, Bharti Telecom held a 45.60% stake in Bharti Airtel. It now has a 45.62% stake in the telecom service provider. As per shareholding data available on the BSE, Bharti Telecom held 1,729,264,367 shares, representing a 45.54% stake, in the operator as of the quarter ended September 2011. 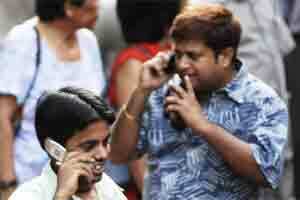 Shares of Bharti Airtel were trading at ₹ 348.20 on the BSE, up 0.52% from their previous close.